The Italian city of Florence sits nestled among the rolling Tuscan hills, with an unmistakable skyline dominated by the fabulous Duomo. With so much Renaissance art and culture, shopping opportunities, and of course incredible gastronomy, you will be spoiled for choices in what to do in see in this exciting capital city of Tuscany. 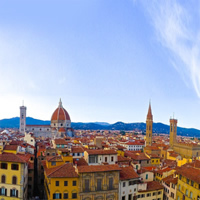 Florence, the capital of Tuscany, is one of Italy`s most atmospheric and pleasant, retaining a strong resemblance to the small late-medieval center that contributed so much to the cultural and political development of Europe. The city is also well regarded for its contribution to art and sciences. We recommend a minimum of 6 nights to explore this fantastic city and its surroundings. 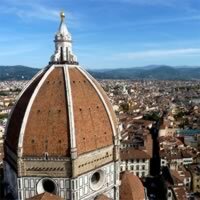 Must See`s include: The Duomo Complex, Church of Santa Croce, The Cathedral, The Uffizi Gallery, Galleria dell`Accademia, Ponte Vecchio, Palazzo Vecchio, Pitti Palace, Boboli Gardens and so much more! This is a flexible vacation package. Select your number of nights in each city, desired hotel and activities. One of our top selling Italy vacation combinations! Visit stunning Florence (Michelangelo`s David, Botticelli`s Birth of Venus, and Raphael`s La Velata) and fascinating Rome (Italy`s treasure with two millennia of artistic achievement). Travel between these cities by very convenient train rides which allow you an opportunity to observe the lovely country side. This is a flexible vacation package. Select your number of nights in each city, desired hotel and activities. 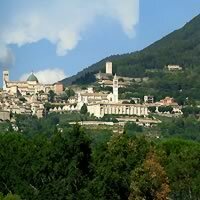 Sample Italy with this unique, customizable vacation package! Begin with a visit to artistic Florence (home to countless famous, original works of art by the likes of Michelangelo, Raphael and Botticelli), then pick up your car and spend a few days in one of the charming towns of the Chianti Wine Region, then head south to beautiful Amalfi in the Amalfi Coast (a gorgeous area; set on a long cliff overlooking the sea). This is a flexible vacation package. Select your number of nights in each city, desired hotel and activities. Italy has a longstanding tradition as a center of culture and art! Many great painters, sculptors, musicians, inventors, explorers and architects have come from or studied in various cities across Italy. These same brilliant visionaries have left a trail of art across the country that is beautiful and inspiring. With this vacation package visit Rome (a treasure trove of art, manuscripts and architecture), Siena, Pisa (with its famous leaning tower), Florence (the epicenter of Italian art; see the David by Michelangelo, The Birth of Venus by Botticelli and the beautiful La Velata by Raphael), Verona and Venice by rail. See the stunning museums, churches, bridges, churches and other sights that put these cities on the map! This is a flexible vacation package. Select your number of nights in each city, desired hotel and activities. 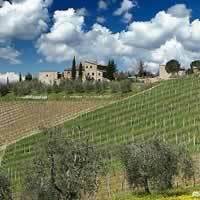 Focus your visit to Italy in wonderful Tuscany! Visit artistic Florence, then pick up your car and spend some leisurely days staying in Lucca, San Gimignano and Siena to be able to experience all the different aspects of this charming region. This is a flexible vacation package. Select your number of nights in each city, desired hotel and activities. An Italian journey begins in artistic Florence and the `Eternal City` Rome, before continuing south to Naples , lovely Sorrento and the island of Capri. This is a flexible vacation package. Select your number of nights in each city, desired hotel and activities. A combination train and self-drive, totally independent vacation package. Sample three completely different aspects of Italy. 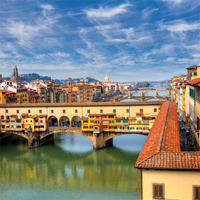 Start with a visit to artistic Florence (home to countless famous works of art; the statue of David, the Birth of Venus, La Veleta and many more), then catch the train to Imperial Rome (centuries of history, culture, religion and tradition; romantic alleys, quaint shops and cafes). After your visit to Rome, hope on the train to Naples for a night before picking up your car to drive along the fabulous Amalfi Coast to your hotel in Amalfi (enjoy the mild climate with stunning views; rich food, ancient pathways and mountains plunging into the sea). Return to Naples for a night to end your stay and make your departure the following morning a breeze. This is a flexible vacation package. Select your number of nights in each city, desired hotel, rental car and activities. Sample three completely different aspects of Italy. 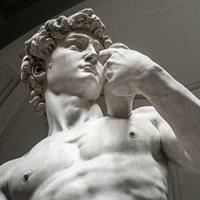 Start your vacation with a visit to artistic Florence (an artists haven with centuries of famed work throughout the city; Michaelangelo`s masterpiece David calls this city home) then catch the train to Imperial Rome (the original romantic city; once home to the largest empire in the world - this city effortlessly combines history and modern life). After your visit to Rome, pick up your car for a drive to Sorrento in the Neapolitan Riviera (with more than two-thirds the year spent drenched in sunshine). This is a flexible vacation package. Select your number of nights in each city, desired hotel and activities. Our rental car vacation packages are some of our most popular! They allow you to take total control of your experience, and this one is no different! Spend a few days in artistic Florence, then pick up your rent a car for a visit to San Gimignano and Tuscany, and end with a stay in monumental Rome. Spend as much time as you like in each destination and see the sights that interest you the most! This is a flexible vacation package. Select your number of nights in each city, desired hotel and activities. 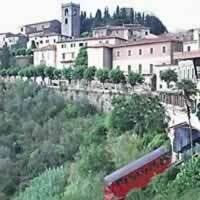 Visit artistic Florence, continue to medieval Siena and to mystical Assisi and end with a stay in imperial Rome, all with the ease of travelling by train. What a fantastic combination of cities in Italy! Begin your vacation package with a stay in artistic Florence (where Michelangelo`s famous David resides), catch the train for a visit to Siena (Southern Tuscany) and then travel by train for a visit to romantic Venice (the charming canal city). This is a flexible vacation package. Select your number of nights in each city, desired hotel and activities. 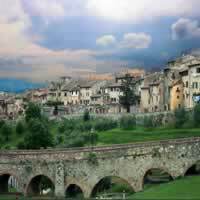 Visit two of Italy`s most charming regions. 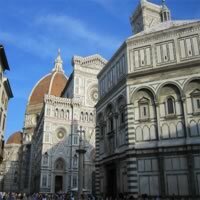 Start with a visit to artistic Florence, then pick up your rent a car and spend a few days in Southern Tuscany. From here, drive down to the Sorrentine Peninsula for a stay in Sorrento. This is a flexible vacation package. Select your number of nights in each city, desired hotel and activities. Visit the magnificent, artistic city of Florence, then rent a car and spend a few days at your leisure in Southern Tuscany, with its brilliant sunshine, captivating and picturesque views, Medieval castles guard narrow roads and classic farmhouses sit along eroding limestone ridges. This area produces some of the finest red wines in Italy, and the small towns of the region are postcard-perfect! This is a flexible vacation package. Select your number of nights in each city, desired hotel and activities. Self-drive packages are a popular option for explorers; those who want to control their own vacation! Spend a few days visiting incredible Florence (an art lovers dream) and after visiting this artistic city, pick up your rent a car for a charming visit to the Chianti Wine Region. This is a flexible vacation package. Select your number of nights in each city, desired hotel and activities. Combine Rome, Assisi, Venice, Florence, Nice and Paris with the TRN, ES, EC and TGV MED Trains. 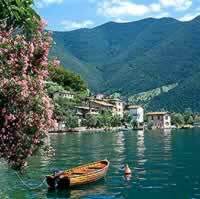 Visit Florence, Venice, Stresa, St. Moritz, Lucerne and Geneva with the Trains. 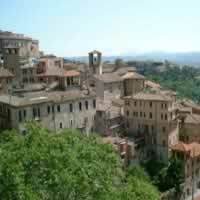 Rome, Siena, Pisa, Florence and Assisi with a rent a car. 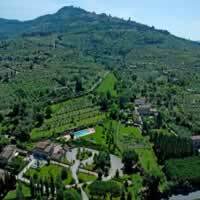 Visit some highlights of Italy with a unique vacation package in Europe! Start with a visit to Milan (one of the fashion capitals of the world; a thriving high-tech metropolis); Venice (unrivaled romance cruising the canals); the artistic treasures of Florence (Michelangelo`s David, Botticelli`s Birth of Venus, and Raphael`s La Velata); Rome (Italy`s treasure with two millennia of artistic achievement). Travel between cities on the ES high speed train. This is a flexible vacation package. Select your number of nights in each city, desired hotel and activities. 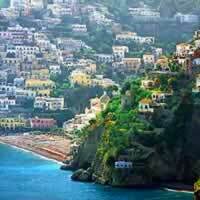 Sample Italy from its sophisticated north to its beautiful Amalfi coast. Start with a visit to Milan (a fashion and shopping capital) then proceed by train for visits to Venice (the stunning canal city, and backdrop to the world-famous short story `The Cask of Amontillado,` by Edgar Allen Poe), Florence (an art lovers dream; see the statue of David, The Birth of Venus and La Velata by Raphael) and Imperial Rome (seat of the Holy Roman Empire, full of tradition, history and legend). 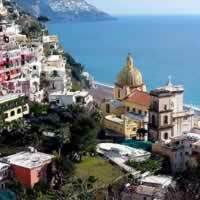 At the end of your stay in Rome, pick up your car for a drive to the Amalfi Coast (sunshine, shopping, relaxation). This is a flexible vacation package. Select your number of nights in each city, desired hotel and activities.